Bomanite Broadcast Aggregate System is a multi-layered architectural and protective flooring system with a non-skid decorative or functional aggregate surface locked in place with two component high performance binders. Bomanite Broadcast Aggregate uses a multitude of surface seeded fine aggregates such as colored quartz, silica carbide or other hard minerals to create a highly durable, low maintenance surface that, dependant on binders used, is easy to clean and maintain in a wide variety of environments. 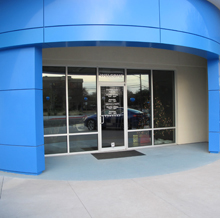 A standard Bomanite Broadcast application utilizes Bomanite Florspartic 100 as the primer, binder and top-coat. This zero VOC fast track flooring system can be applied over prepared concrete and suitable cementitious toppings to form a seamless surface ideal for residential, industrial and commercial applications such as garage floors, indoor swimming pool decks, commercial kitchens, light manufacturing and chemical processing etc. Standard Broadcast Aggregate Systems are 1/8” in thickness, can be applied with a seamless cove, will bridge minor non-working cracks and are highly resistant to most chemicals. 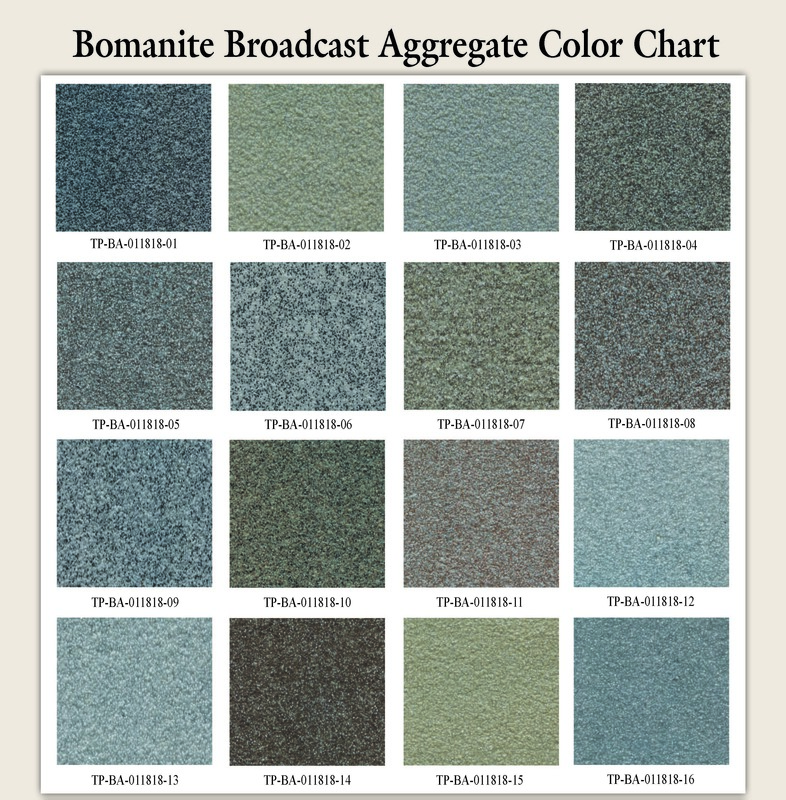 For information on the use of other Bomanite high performance primers, binders and coatings as part of the Broadcast Aggregate system, please consult with Bomanite Technical Services for product selection and application information. Consult the Bomanite Florspartic 100 Technical Bulletin for information concerning chemical resistance and finished coating properties for a standard Bomanite Broadcast Aggregate installation.